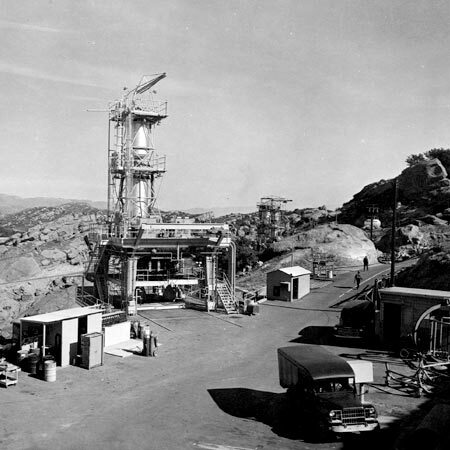 The former Santa Susana Field Laboratory has a rich history of furthering space and energy innovation. It has an even brighter future as open space. Support the creation of a plan that fully protects people and wildlife — during and after cleanup. Send your comments on the draft Environmental Impact Report to the California Department of Toxic Substances Control today. Haven’t had a chance to see NASA’s test stands in person? Take this interactive, virtual tour. 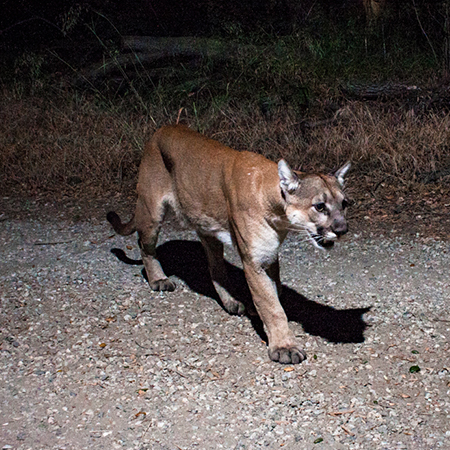 From mountain lions to coast night snakes, check out the wildlife that frequent Santa Susana. We announced 10 years ago we would preserve Santa Susana as open space. That promise is now reality. A retired engineer keeps the memory of Santa Susana's rocket engine past alive during site tours. 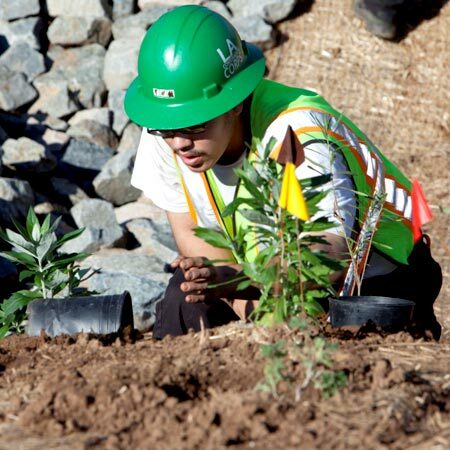 Learn how we help the L.A. Conservation Corps inspire the next generation to protect the environment. 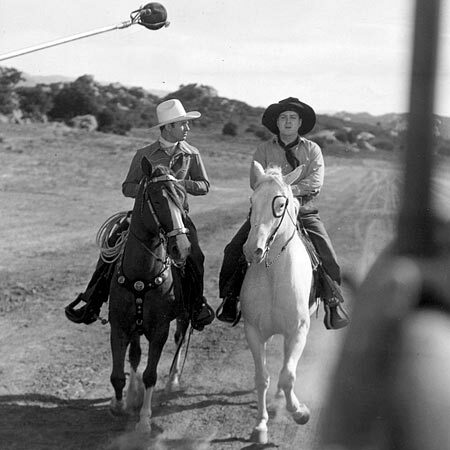 Santa Susana played a lead role in the country's space ambitions and Hollywood history. We proudly supported the National Wildlife Federation's Urban Wildlife Week to help #SaveLACougars. Santa Susana is uniquely positioned at the intersection of biological, cultural, ecological and historical significance. It has immeasurable value worth protecting. Many individuals and groups currently use the site for research, education and inspiration. The California Department of Toxic Substances Control (DTSC) released its draft Environmental Impact Report for the Santa Susana cleanup on September 7. The purpose of an EIR is to evaluate the impacts associated with various site cleanup options on nearby residents, including traffic congestion and air quality concerns. It also assesses cleanup impacts on the site's wildlife, vegetation and Native American artifacts. The DTSC will review and respond to comments before finalizing the Environmental Impact Report. Once it is final, the next step is public review and DTSC approval of Boeing's Corrective Measures Study. The study report will consider various site cleanup techniques based on decades-worth of investigation data, as well as include a recommendation for an appropriate cleanup level. The DTSC will evaluate the study report, distribute it for public comment and make the final cleanup determination. The Environmental Impact Report sets the stage for the cleanup of the Santa Susana site. Everyone can comment and help guide the DTSC toward the right cleanup plan. After thoroughly investigating the Santa Susana site, we know what needs to be cleaned up to ensure the continued protection of those who visit for recreational purposes. Numerous health studies conducted over many years collectively reinforce that past operations have not affected the health of area residents. We remain committed to completing a cleanup that is protective of human health and the environment, consistent with Santa Susana's use as undeveloped open space habitat. 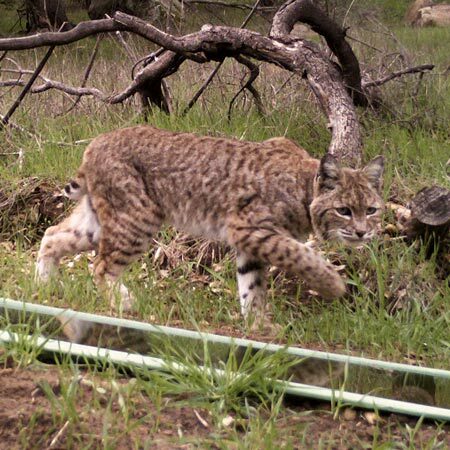 Santa Susana is home to endangered plant species and abundant wildlife: deer, bobcats, coyotes, and mountain lions roam wild. Preservation will strengthen this critical resource, which is why we secured a conservation easement to forever protect nearly 2,400 acres of Boeing-owned land at Santa Susana as undeveloped open space habitat. The property will never be used for residential or agricultural purposes so wildlife can continue to thrive. Now more than ever, it is important for a cleanup to be chosen that protects the actual future use of the land as open space habitat. Santa Susana is home to many of the best remaining Native American pictographs in Southern California. Native American art and artifacts dot the landscape. We want to honor this history by ensuring these cultural resources are preserved. 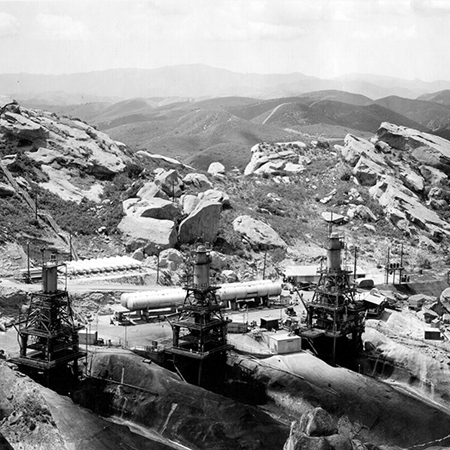 The site of the former Santa Susana Field Laboratory occupies a unique place in U.S. and California history. Santa Susana and the surrounding Simi Hills provided land, wildlife and plants to support Native American tribes. The modern world has been substantially shaped by past breakthroughs at the former Santa Susana Field Laboratory. Thousands of workers tested rocket engines that powered moon landings, satellite launches, and our national defense. It was also home to decades of advanced energy research, development and testing of technology for government and commercial applications. All of this work ended more than a decade ago. Since becoming the owner of a majority of the land in 1996, Boeing has made considerable progress cleaning up and restoring Santa Susana. After decades of investigation, we have an extensive understanding of the site, which helps us monitor in the right places and know what cleanup needs to be done to be protective. We have taken proactive measures to address legacy contamination and ensure the continued safety of the surrounding community. More needs to be done and we are ready to fulfill our cleanup commitment to be protective for the land's future use as undeveloped open space habitat. Our focus remains on completing a cleanup that fully protects everyone who will enjoy this vast open space habitat as well as our neighbors in the community. See what we have been up to. Learn more about the progress we've made. The restoration of the Santa Susana landscape is well underway; native plants and animals have already reclaimed much of its 2,850 acres. Due to its past sensitive government work, Santa Susana has remained in many ways pristine and isolated — one of the most intact and vast natural areas amidst the urbanization of this immensely populated area. Santa Susana remains a site of historic significance with towering rocket engine test stands on NASA land and Native American artifacts throughout the property. 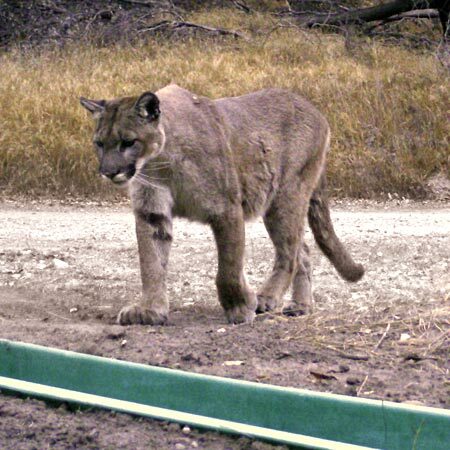 Our vision is that Santa Susana will continue to be a place where mountain lions roam free, cultural artifacts remain undisturbed and oak woodlands have the opportunity to thrive. Boeing secured a conservation easement that forever protects the site's vast natural and cultural features, and permanently preserves nearly 2,400 acres at Santa Susana as undeveloped open space habitat for the benefit of people and wildlife for years to come. The public comment period for the Draft EIR has closed. Visit this website regularly for more information and updates on Santa Susana. The Environmental Impact Report is supposed to evaluate the impacts of a reasonable range of alternatives for cleanup at Santa Susana. The EIR must include an alternative that is consistent with the future land use of Boeing’s property. Boeing’s proposed Santa Susana cleanup will be protective of future users of the property and neighboring communities, and provide greater protection of the site's unique ecological and cultural resources – both during and after cleanup. We will continue to work with the Department of Toxic Substances Control to ensure the cleanup is fully protective of human health and the environment, consistent with Santa Susana’s future use as open space habitat.